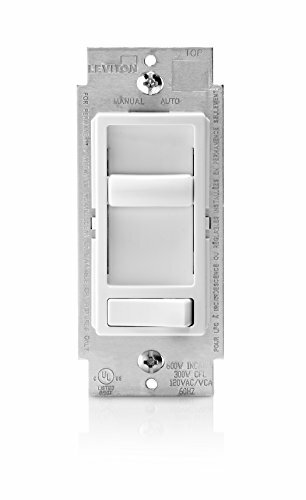 Leviton's 6674-POW SureSlide universal 150-watt LED and CFL/600-watt incandescent dimmer is a state-of-the-art device engineered to afford homeowners the utmost in control over the amount of light emitted from their current incandescent bulbs as well as from new and innovative LED and CFL bulbs. The SureSlide offers the advantage of saving energy without sacrificing performance: It addresses performance issues such as flickering, reduced dimming range, and low-level startup. Thanks to its cutting-edge technology, the SureSlide delivers the ability to regulate dimming options for next-generation lighting sources while remaining compatible with current bulbs.